Here, ten incredible make-ahead recipes to freeze. In this episode of Mad Genius Tips, Food &Wine’s Justin Chapple reveals how to vacuum-seal food using just a plastic bag and a bowl of water. It’s a great way to stock your freezer with extra cuts of meat or fish. Of course, a well-curated freezer contains more than just pork chops and salmon. Here, ten incredible make-ahead recipes to freeze. 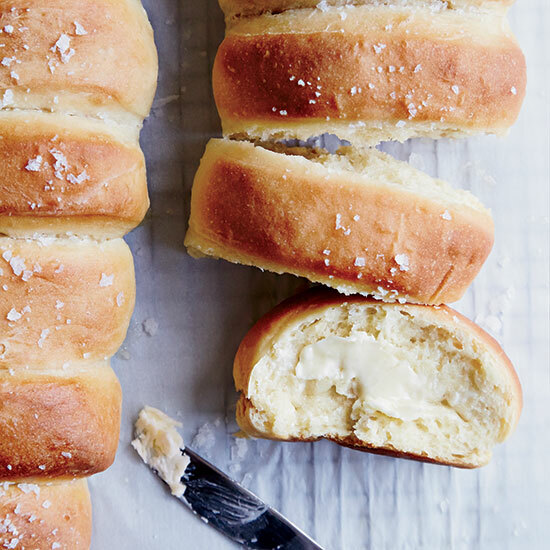 These fluffy, buttery rolls have a comforting, homey quality. A rich mix of beef, pork, veal and smoky pancetta, this traditional sauce can be frozen for up to one month. Wonton wrappers make quick and easy work of these juicy dumplings. Uncooked, these fluffy gnocchi can be frozen for up to one month. Smoky andouille and lightly bitter kale come together in this hearty stew. Pretzels baked without salt can be frozen for up to one month. A larger version on tortellini, this silky supple pasta is excellent filled with creamy ricotta and spinach. Like banana bread, these especially moist muffins are a great way to use up overripe bananas. You can bake these cheesy biscuits straight out of the freezer. Keep these baby calzones prepped and frozen in the freezer for quick afternoon snacks.